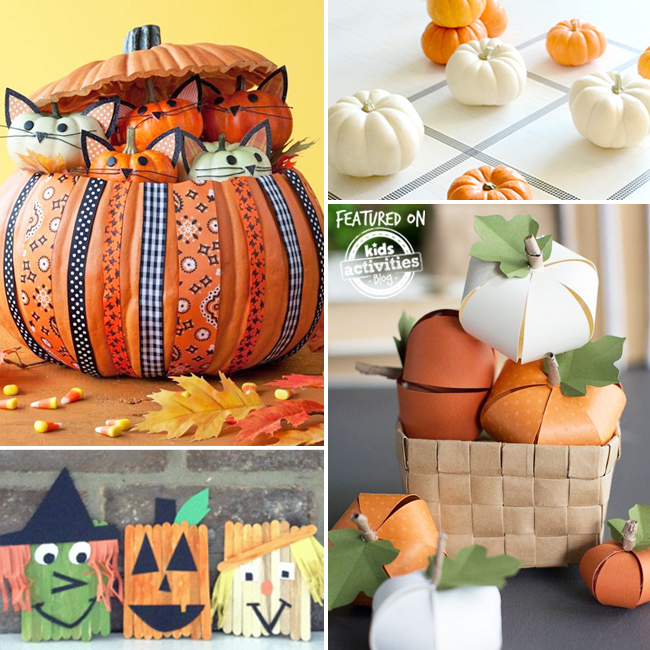 We’ve compiled 30 Fantastic Kids Pumpkin Activities to Do this Fall right here into one post! Pumpkins are everywhere this time of the year. Wondering what to do with your kids and pumpkins? 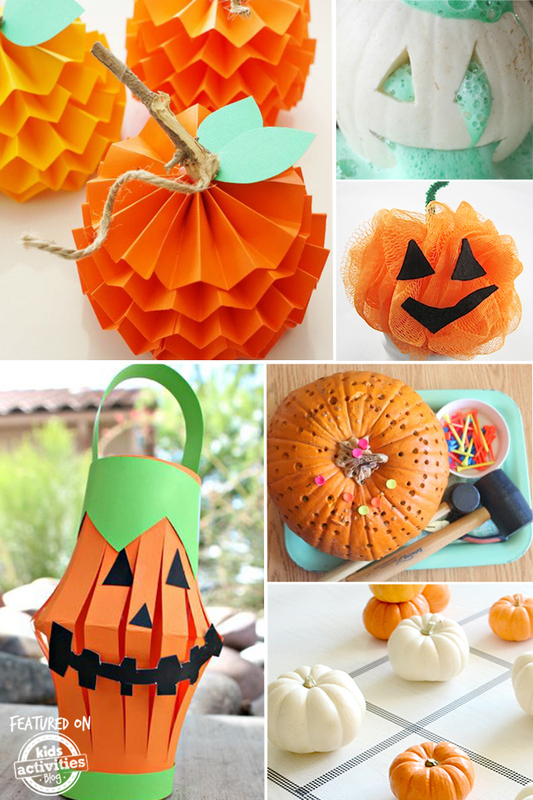 Well, here are some of our favorite pumpkin activities for kids! Also check out our 30 Easy Pumpkin Activities…there’s something to do for everyone! 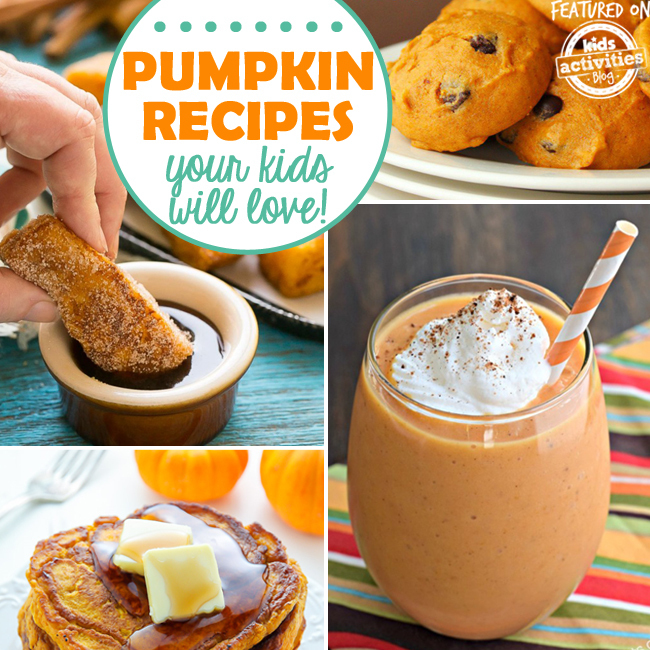 Yummy Pumpkin Recipes Your Kids will LOVE! Fun Kids Pumpkin Activities You’ve Gotta Try! Hammer a pumpkin! It’s more fun than whack-a-mole. -via Scrumdilly Do! We want to see what you’re making with pumpkins–share with us your pumpkin creations on our Facebook page! Thanks for featuring my Handprint Paper Plate Pumpkins!!!! We had SO much fun making them! Do you have a button? I’d love to add it to my post. My grand daughters look forward to doing crafts every time they visit. I will be putting some of these ides to use. What a wonderful list! Thanks for sharing!